Very nice! do you plan to use the ship module? Thanks Yorik, and yes, I'm using the ship module to analyze buoyancy and stability, very useful workbench! wow, this model is impressive! Did you use an existing boat design or did you create it by yourself? Actually I would like to know how you made it. Did you create the ribs with Sketcher? How was the surface made? Did you use the Half-Hull Macro? 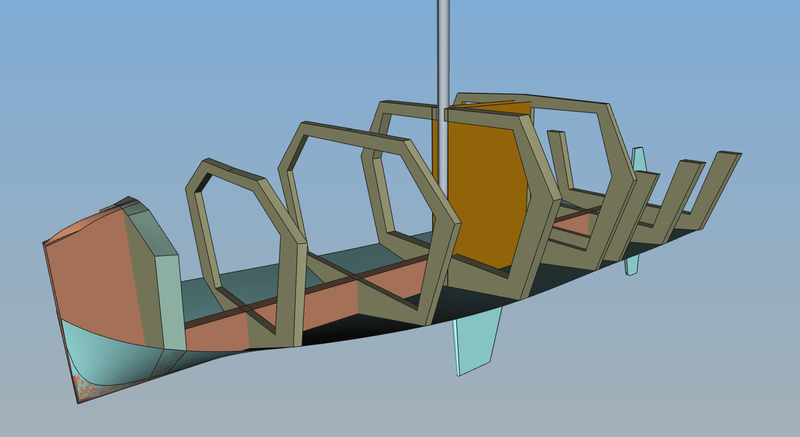 It is fully made with the FreeCAD existing tools. 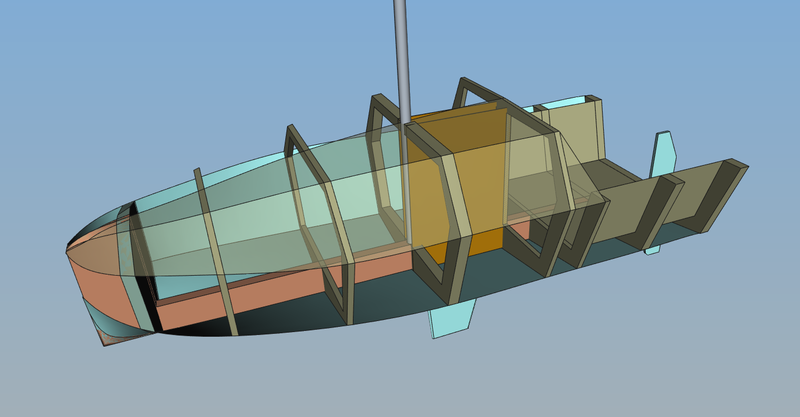 The hull is made with a loft through 8 sketches, then I explode the solid into faces and I start to build the ribs and other parts. The only cheat I did was a small script to clone and place the 8 sketches in line with a given distance. I will do a tutorial once I completely undestand the ship module. 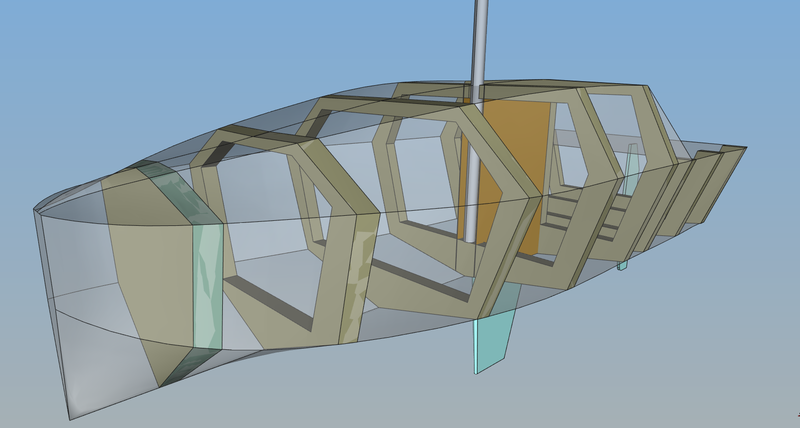 It is fantastic what can be done with pure FreeCAD board means. One has "only" to know them. JMG wrote: I will do a tutorial once I completely undestand the ship module. Nice concept, I like it much. I am planning to make similar boat design. Idea is to use plywood for ribs cover. Finally I would like to get some flat plans for plywood sheets. F.ex. to feed in CNC (or at least to draw on plywood sheets). So the question is how to create them from convex hull part/surface? To be developable, they must be simplified to single curvature. One way is to slice the hull bread-and-butter orthographically (boolean surface intersection with an appropriate object) and loft ruled surfaces for the slices.